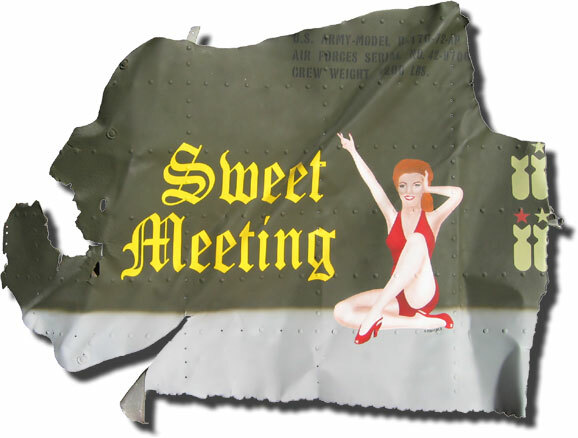 The background to the creation of the Memphis Belle artwork provides an interesting insight into the genesis of an item of Nose Art. The pilot of the aircraft, Bob Morgan, originally intended to call her Little One, after his pet name for his fiancee, Margaret Polk. However, fate intervened when the crew caught a film starring John Wayne and Joan Blondell called Lady for a Night. 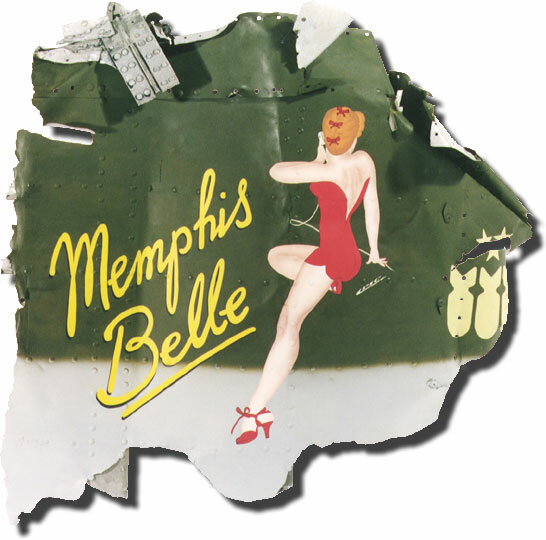 Blondell's character was nicknamed Memphis Belle and, as the crew clearly enjoyed the film and Morgan had close links with the state capital, the name Little One was replaced by Memphis Belle. Although the name was decided upon, there remained one outstanding problem: where to find an appropriate image ? Morgan took as his inspiration the US magazine Esquire which was famous for its 'tasteful' renditions of the fulsome female form. He wrote to the magazine asking for help, and later received a copy of the magazine's April 1941 edition. That issue's centerfold, created by the famous George Petty, provided the guide for Tony Starcer 's final work. Memphis Belle went on to complete 25 missions, the last ones were filmed by William Wyler's movie crew (released in 1990). To great fanfare, the B-17 (nr 41-24485) and crew were rotated home. 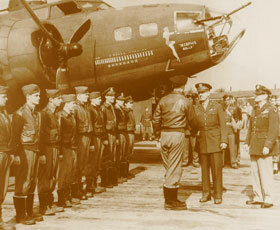 Their 26th mission was to fly back to the United States for a heroes welcome and Bond Tours. Mount 'N Ride was a B-17G-20-BO (42-31585) of the 91st Bomb Group. She landed at Dübendorf in Switzerland on 16 March 1944. 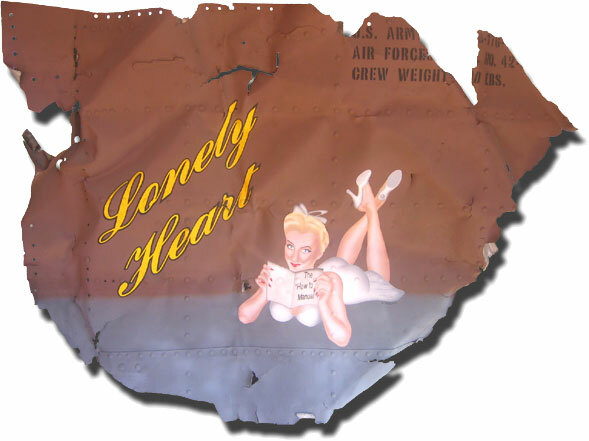 The aircraft was flown by 1/Lt Robert C. Mersereau, and the Nose Art was painted by famous artist Tony Starcer. 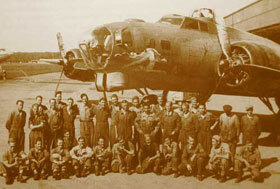 On this picture USAAF ground crewmen and Swiss air mechanics posed with the bomber during the Summer of 1945 while she was being prepared to return to England. 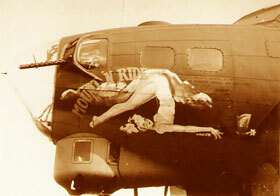 Nose art painted on Mount'n Ride by Tony Starcer. The inspiration for the pinup comes from the 1944 Varga Girl Calendar (pinup from February).